Have You Met THE GOD WE WORSHIP? On March 23,24 The Central California Conference of the Seventh-day Adventist Church held a symposium in Dinuba, CA regarding the Trinity titled “The God We Worship”. Pioneer Health and Missions will be hosting its own meetings as a response to that series on April 20,21. 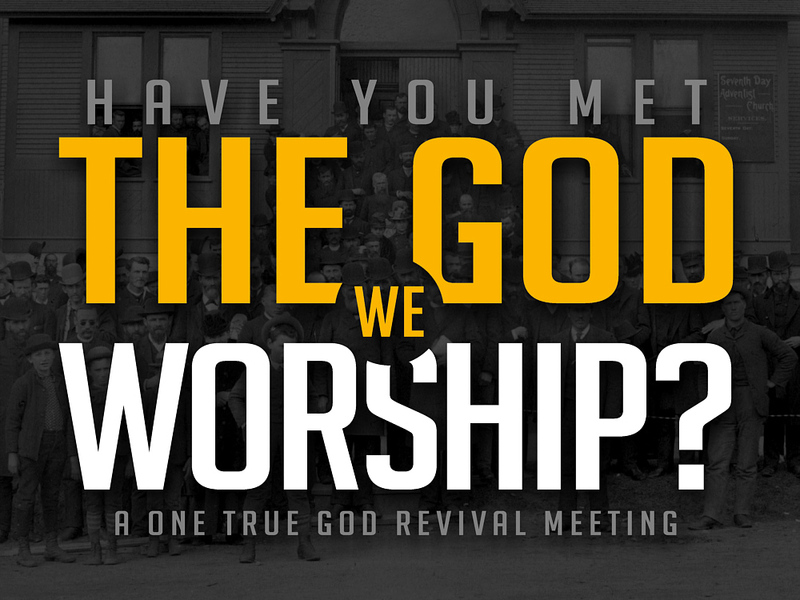 Please accept our invitation to meet the God we worship. Meetings will be recorded and posted to the PHM.org website and to the Pioneer Health and Missions Youtube Channel. If you are traveling and need a place to eat your sack breakfast, the Friendship Hall is available until 9:15am. Sabbath School available for children and earliteens in the middle building and classrooms off of the Friendship Hall. Children’s program for ages 5-10 in the middle building for 2:30 meeting ONLY. Previous Event LinkWest Columbia, South CarolinaNext Event Link¿Has Conocido AL DIOS QUE ADORAMOS?